Hello fellow human! 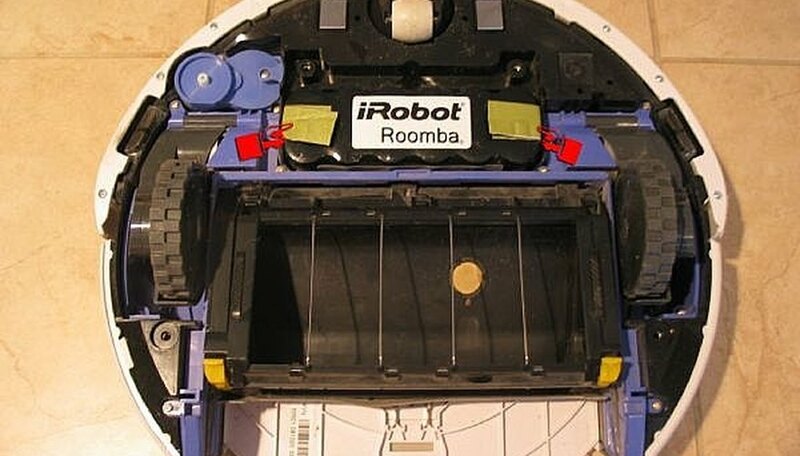 Roomba is a hard working vacuum robot to help humanoid to clean their houses. 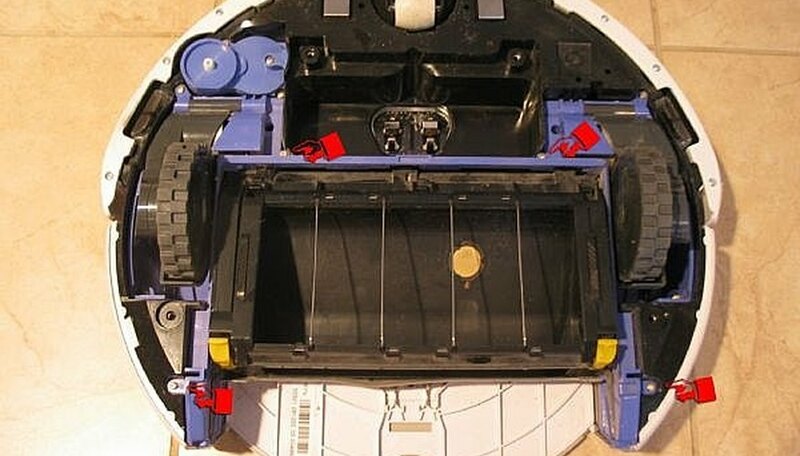 Just like a car, Roomba sometimes also needs maintenance and "deep cleaning" to keep it in the top performance. Manual book suggests to clean after few uses. The big question, IS THAT ENOUGH? Emptying the sweeper bin is easy enough. Just pull the bin and dump the entire junk to the trash bin. You might see tons of microscopic dust have been collected on the surface of the HEPA filter. That's easy enough to clean. 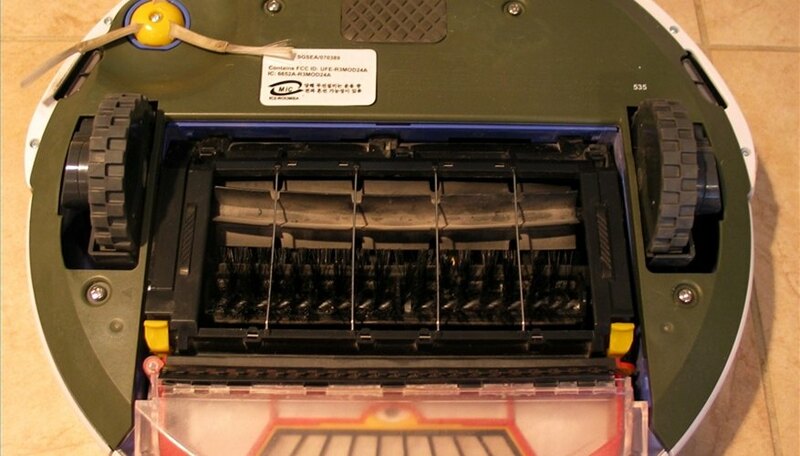 However, as the nature of microscopic dust, it can infiltrate deeper into the head cleaning module. If so, it can generate a loud noise, grinding and also bring the performance down. 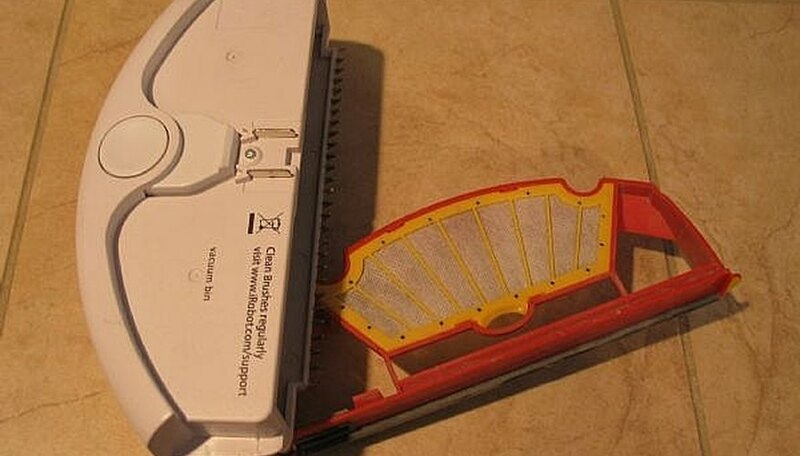 This article will guide you step by step instruction how to completely clean Roomba beyond the manual book. IT IS NOT DIFFICULT, but please pay attention to the details. If you're not sure, do not attempt to try. Always keep in mind that you're doing this at your own risk. 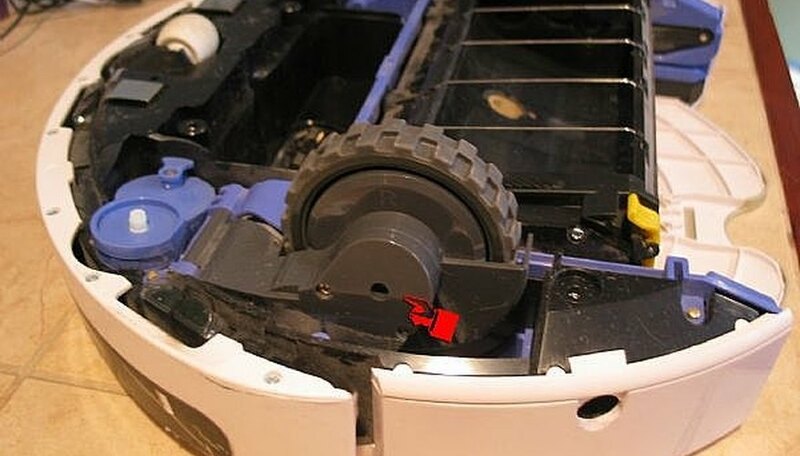 Flip the Roomba upside down in a safe place. Make sure there's no food, pet or small children around. Remove the sweeper bin by pressing the round button on the top side. Clean the debris and also clean the filter. Open the cleaning head module by pressing both yellow button in the left and right side next to the wheels and right above the sweeper bin. Pull it up so you can see the brushes like in the picture. Pull the yellow plastic bearing up and remove both from the brushes. Clean them thoroughly. Check the front wheel and spinning brush for any tangled object and remove it gently. Step 1 to 3 are the standard cleaning procedures that you can find them in detail in the manual book or iRobot's website. Set aside all of the components from step 1-3 to a safe place. Now is the time to open the bottom cover. 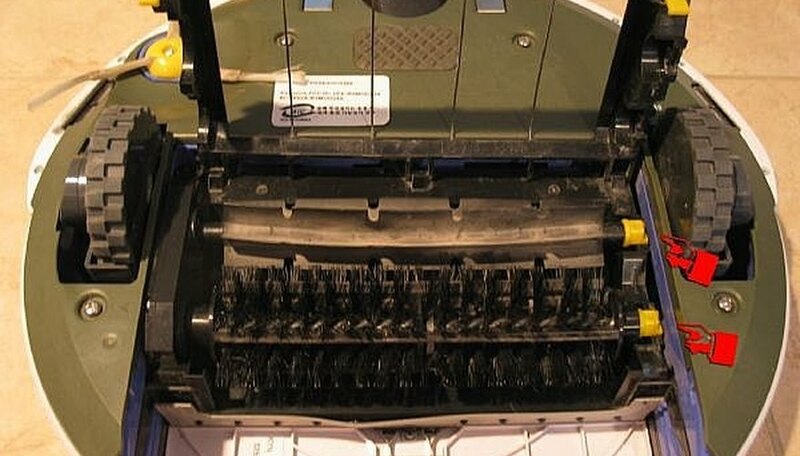 There are five (5) screws that you need to open. One (1) for the spinning brush (see picture, top left side) and four (4) for the plate support. 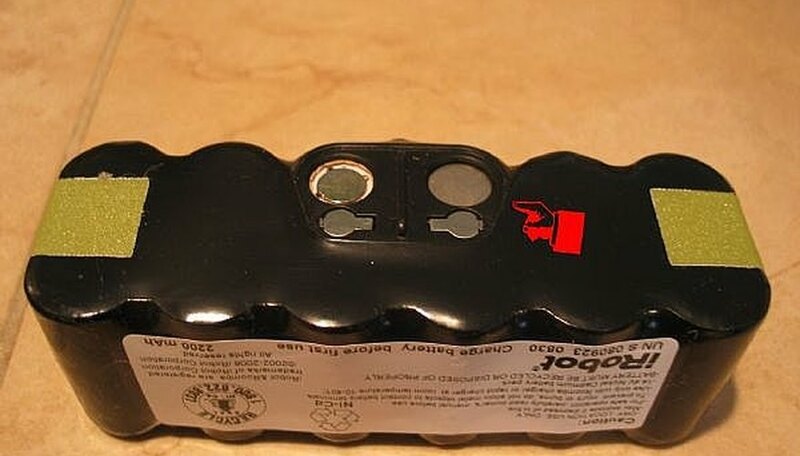 After the cover has been removed, you can see several modules including battery. 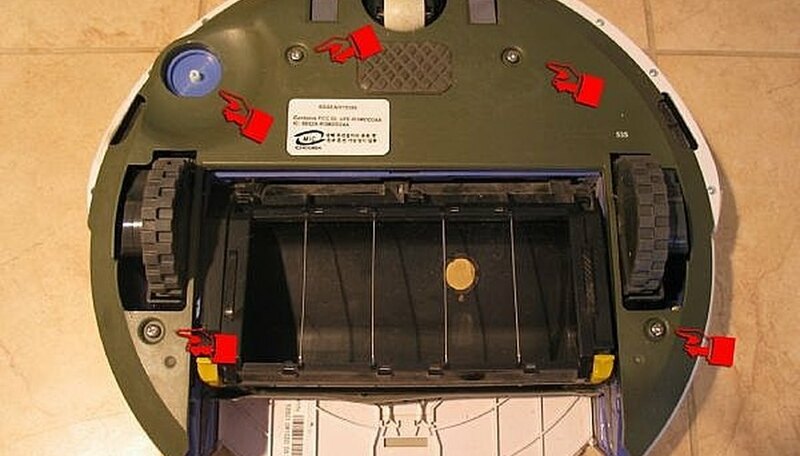 First, remove the battery (pull those two yellow-green tabs) and clean the excess dust in any places you can see in this step. 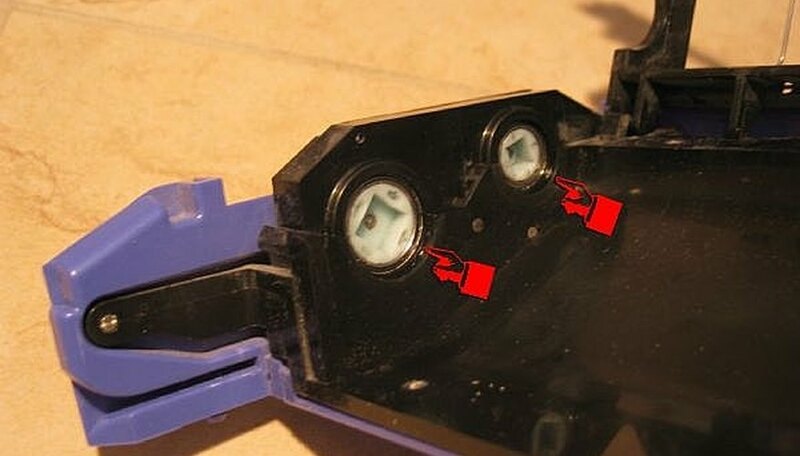 Clean the battery connectors (four of them) using dry paper towel. Do not wipe it with wet towel or any chemical. It might caused a short circuit or damage the surface protector. Open the cleaning head module. There are four (4) screws that you need to work with. Pull the entire module carefully and set it aside. Flip the module upside down. There are three (3) locations that you need to pay attention to clean them. See the picture. I highly recommend you to use house vacuum cleaner, toothpick and dust blower to clean these 3 areas. Please be careful, do not adjust or force any component in this module. Once everything's clean in this module, flip back the module and you can see 2 receptors in the left side. Blow those two with powerful dust blower or canned air to clean any debris. NOTE: If the Roomba doesn't have any problem with squeaking, grinding or loud noise in this part, you don't need to apply lubricant. If you're planning to do so (I do), drop the lubricant to Q-Tips or cotton-bud and just wipe the circle ring. Do not over apply the lubricant. The reason is, if the lubricant becomes dry and dirty, it would be difficult to clean. The last part is the wheels. I do not recommend this step if the wheels do not causing loud noise or grinding. You could drop a small (very small) lubricant to the center hole. See picture. 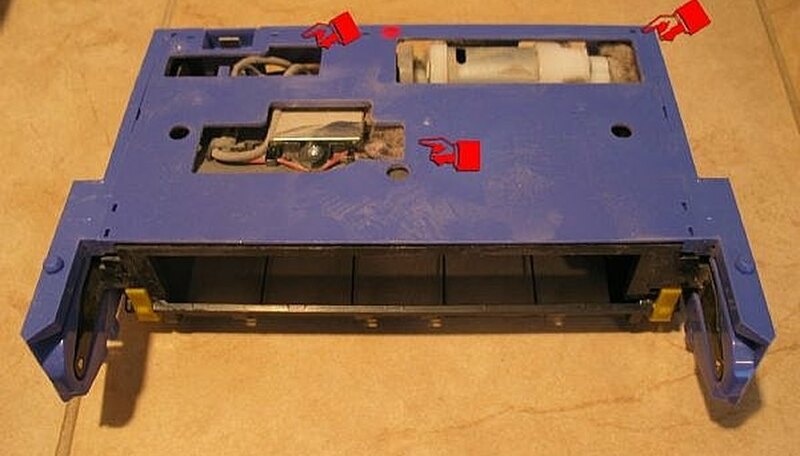 Preparation to assemble back: - Install and secure back the cleaning head module. - Install and secure back the battery. - Install and secure back the bottom cover. - Install and secure the spinning brush. - Install and secure back two brushes to the module. - Insert the sweeping bin. I'm using Roomba 535 series. Most of the models have the same structure, but the screws location might be different. Always refers to manufacture's recommendation and manual book. Do at your own risk Author has no relation or business affiliate with any products mentioned in this article.